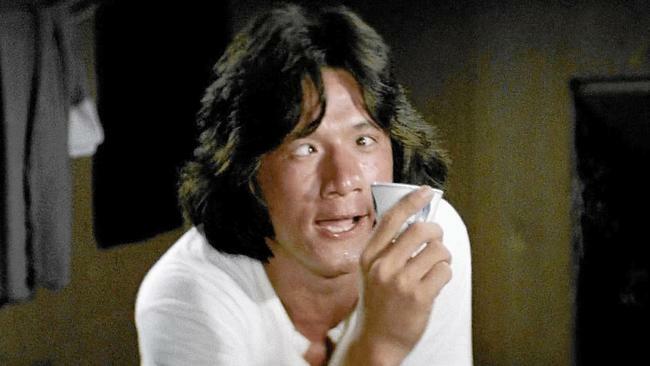 In Drunken Master Beggar So’s art manifests through the Eight Drunken Gods (derived from the Eight Immortals). During character creation, ascribe one or more gods (avatars) to your expert skill. These represent your signature actions when using that skill. As you gain levels, new powers, or more things to do with your skill, add a new god. Use these in the narrative by describing your skill’s action allegorically using your avatar/god. Designers: use the gods as resources, such that each god can only be expended once per scene/session/adventure. Write your gods on index cards, and put them on the table. Have the other players and GM use them to build their characters using their own reflections of the gods. Have the GM represent the world and its pantheons using the same aspects. Share the pantheon of many gods, or many reflections of the same eight gods.